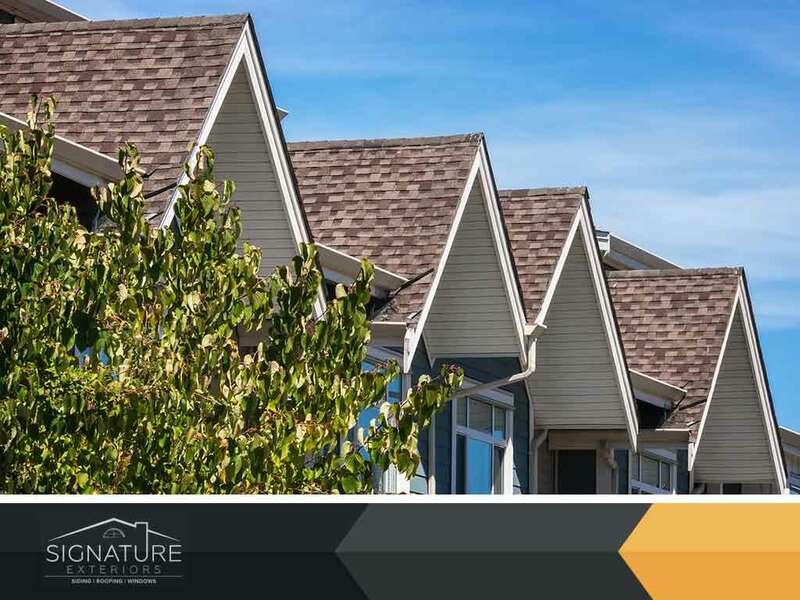 Asphalt shingles remain the top roofing material for many homes. It’s the direct upgrade from wood and boasts excellent durability and a relatively long lifespan at an affordable price. It’s also considered an all-weather material thanks to its innate weather resistance. Despite this, shingle curling is still a common problem with this kind of roof even with advances in roofing technology. Signature Exteriors discusses what causes shingles to curl and what you can do about it. Shingle curling doesn’t have one single cause. Rather, there are many ways this can happen to your roof. The first is a more natural cause: weathering. The shingles get worn down by heat, rain and other environmental factors and this eventually causes the shingles to curl and buckle. Curling also happens due to poor ventilation. When the roof is not properly ventilated, airflow is restricted and moisture gets trapped within the roof. This will eventually settle on the underlayment, loosening them in place, and causing the shingles above them to curl. Regardless of how your roofing system curls, they are not just a cosmetic problem. Curling causes the roof to lose its weatherproofing and stability and makes them even more prone to leaks and other roof problems. Unfortunately, you will have to replace the shingles once they start curling as they have already lost most of their innate stability; essentially making them irreparable. You can, however, prevent the curling from happening in the first place. The simplest way to do this is by ensuring that the attic has ample ventilation so that it can “breathe” naturally. Preventive repair is also a good way to prevent curlng by heading off problems like leaks. As one of the top roofing contractors in Connecticut, Signature Exteriors will help you keep your roof in good condition and prevent structural problems like curling and buckling. We have performed over 20,000 roofing and siding projects since 1951. Call us today at (866) 244-8029 to learn more about our services. We offer complete roofing services throughout Fairfield, CT and White Plains, NY.